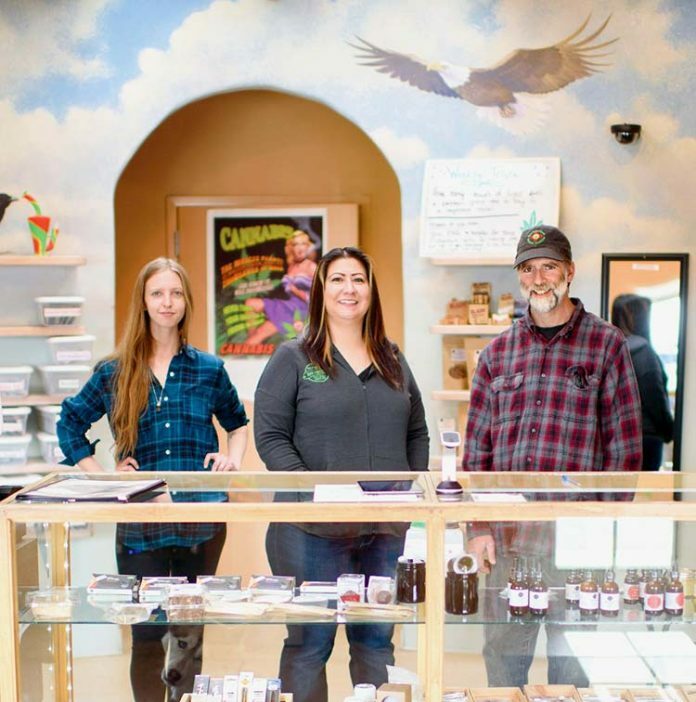 New Mexicann Natural Medicine, the only licensed nonprofit producer and distributor of medical marijuana in Taos, celebrates three years in town this week. The number of Taos County residents who have a medical marijuana card grew in the last five years from 195 cardholders to 1,305, according to New Mexico Department of Health statistics. The growth mirrors what is happening elsewhere in the state, which now has nearly 48,000 people with medical marijuana cards. Santa Fe County saw a 43 percent jump in medical marijuana cardholders from January 2017 to January 2018; the number now tops 5,245 people. Taos lacked a marijuana pharmacy for the first six years of the state-administered medical marijuana program. Then NewMexiCann Natural Medicine expanded from Santa Fe into Taos. Some parts of the state are seeing new dispensaries open. Santa Fe County now has seven medical marijuana dispensaries, including two that opened in December. Two more medical marijuana dispensaries are in the works. Medical marijuana patients and advocates think the burgeoning dispensary business puts New Mexico one step closer to legalizing marijuana for recreational use. People polled in the state consistently have strongly supported legalizing marijuana. A total of 29 states have passed laws legalizing medical marijuana. State statistics show the two biggest conditions for which people seek relief using medical marijuana is for post-traumatic stress disorder and severe chronic pain. Cloutman said that’s true of the clients that come to the Taos NewMexiCann dispensary as well. “But now with the older age group, the conditions have really expanded,” he said. More people with medical marijuana cards also are seeking relief from the symptoms of Alzheimer’s and Parkinson’s diseases, he said. Under New Mexico’s Medical Cannabis Program, patients must meet at least one of 21 qualifying conditions to obtain a medical marijuana card.